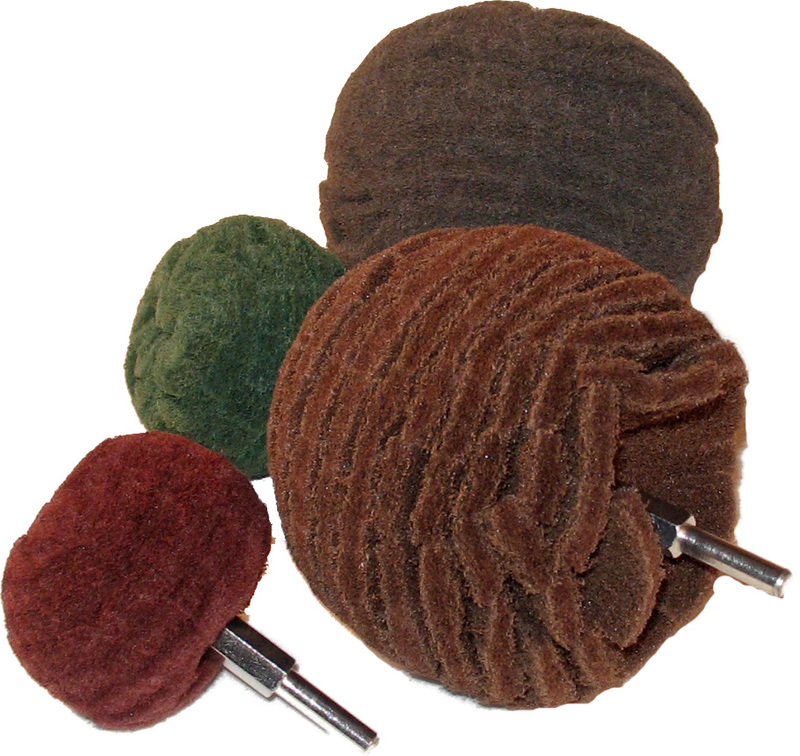 Scuff Ball tools are made up of individual layers of non-woven material layered, compressed, and assembled into a ball. They have a series of fingers that can reach into tight spaces and conform to the work piece. They resist clogging and do not overheat. Debris from the work piece can be washed away with water or compressed air. Power scuffing saves labor and provides a more consistent finish. These RPM ratings are maximum but the Scuff Ball works very well at slower speeds typical of electric drill motors. The colors below correspond to the popular 6" x 9" hand pads of the same material. They are sold indivually or in a case of 5 pieces. Coarse Green compares to #2 steel wool. 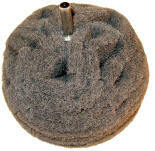 Use for heavy scrubbing and removal of rust and scale. Fine Grey compares to #000 steel wool. It produces a bright shiny finish. 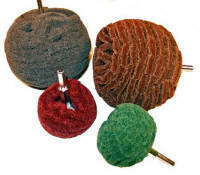 We also offer Strip-Clean Discs for surface conditioning and paint removal.